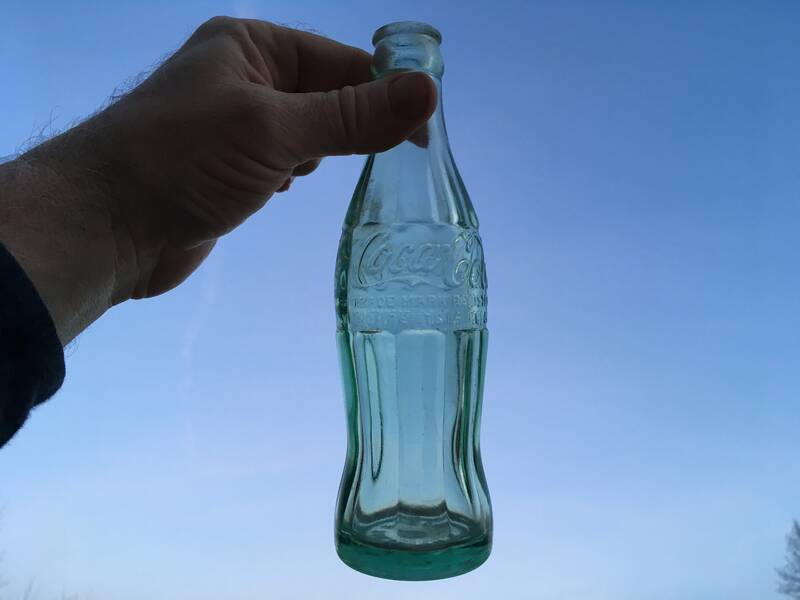 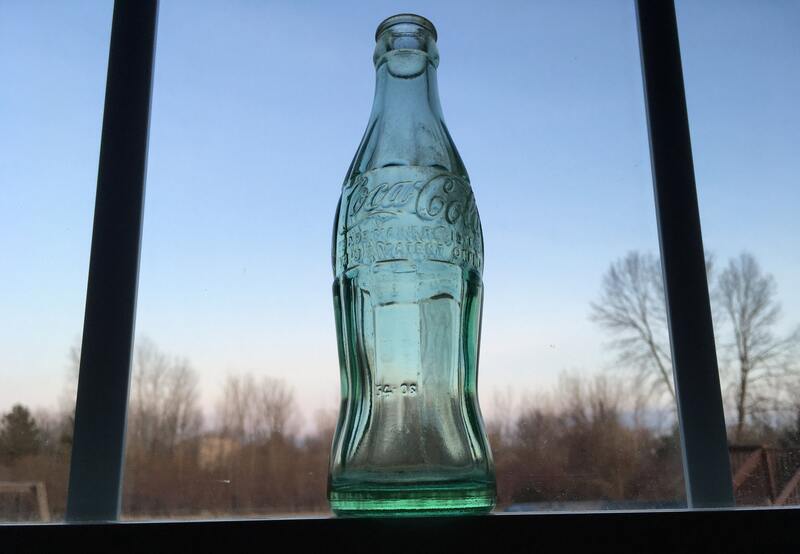 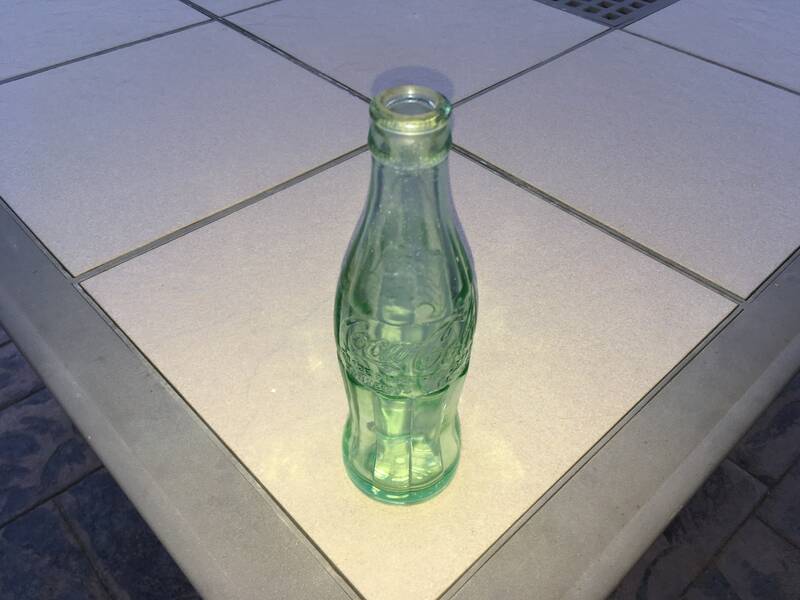 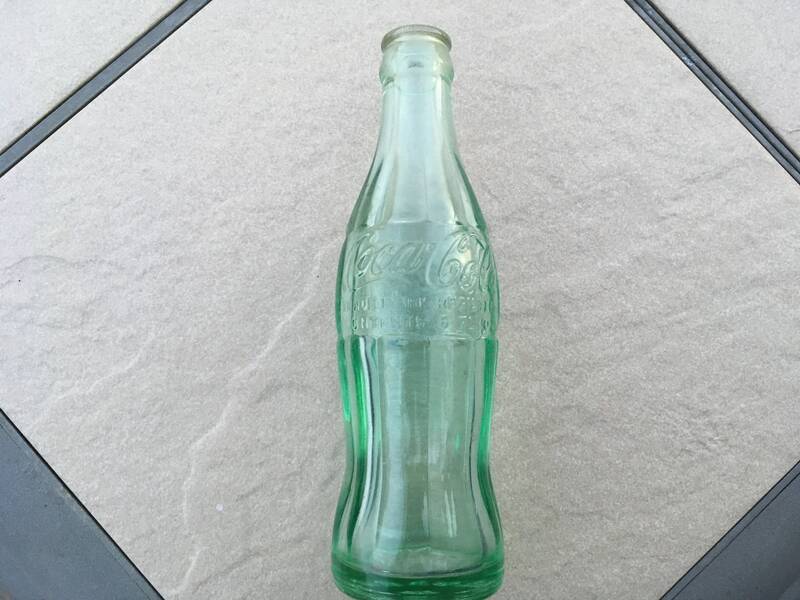 Vintage 1940s Coca-Cola bottle in very good condition. 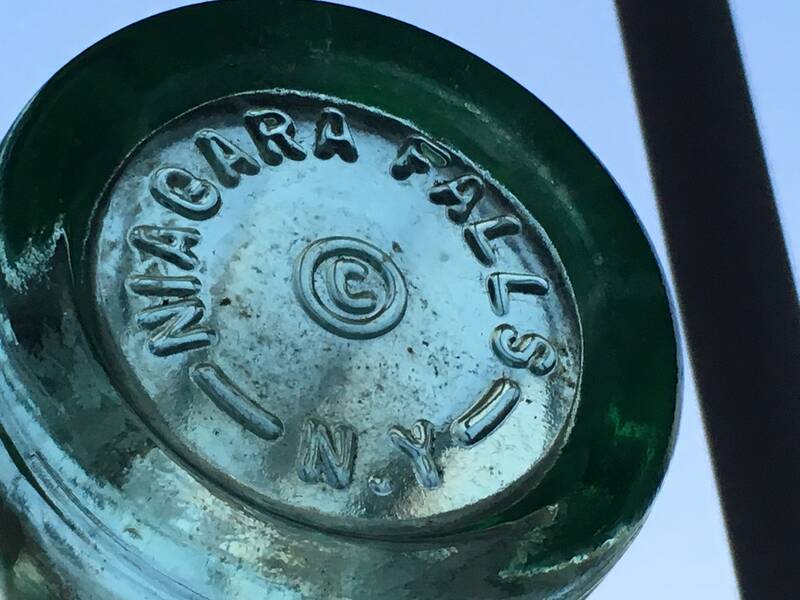 Made of thick, green glass, the bottom indicates it originated in Miagara Falls, NY. 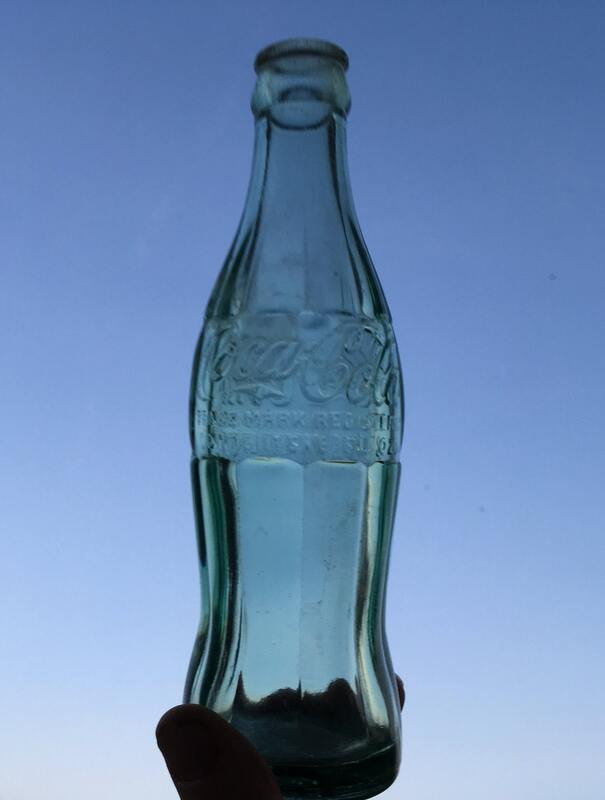 This is the style bottle often depicted in old Coke advertising and was dispensed by vending machines. 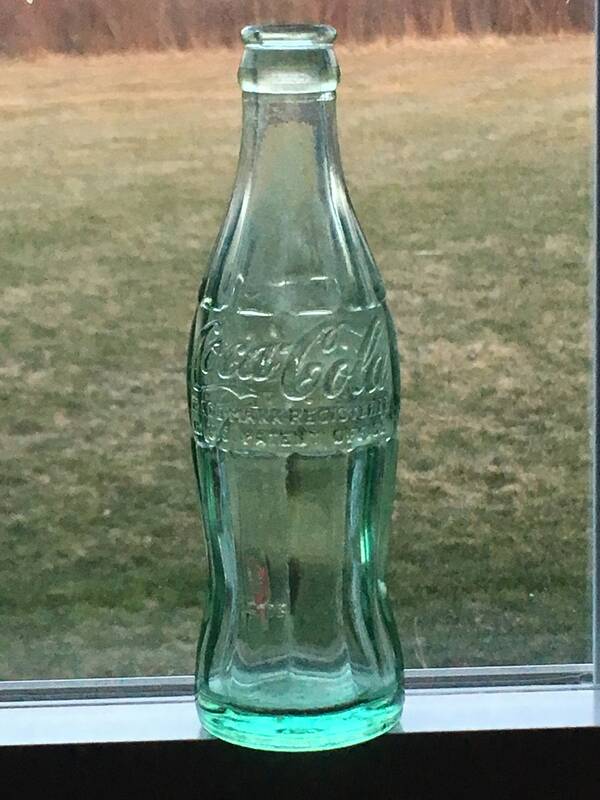 A great piece of Americana!